When we are asked to stand up and speak, we tend to run out of words; sometimes ideas too; even though we have already prepared. The stage fright is often a common occurrence. 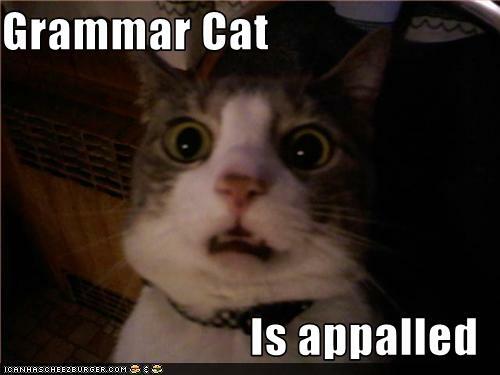 When we sit to write, we feel like timid mice in presence of a ferocious Grammar Cat. When we know the subject there is no reason whatsoever that we should not be in a position to sit down and write @ 20 words per minute, faster if you type. We don’t have to do all the grammar exercises that scared us during our school days. But we definitely have to brush up tenses, auxiliaries & modals, prepositions, articles etc. Not a tall order; just a few hours of serious work. Choose nouns over adjectives. Nouns give you the crisp information. Adjectives make the reader wonder. In our written communication, our objective should be ‘the ease of business’; If it’s a businessman, he doesn’t want any unnecessary hurdles, and so the reader would not like to face any hurdles in understanding your message. Choose verbs over adverbs. Verbs are giving information about the actual action, while adverbs describe the quality of action. For example instead saying “he went to the hospital quickly” it will be more effective to say, “He rushed to the hospital”. Choose short sentences instead of the long ones. But vary the length of the sentences. Otherwise it will appear boring. You can easily follow the above simple precepts to make your communication natural, precise and interesting only when you have belled the Grammar Cat. This entry was posted in Personality development and tagged actions, Adjectives, adverbs, articles, Effective, Grammar Cat, Nouns, prepositions, specific words, Verbs. Bookmark the permalink.